Sins of the Angels is the first book by Linda Poitevin and it’s just…whoa. I sat on this book for a couple of days before writing my review because I needed to give it time to process. It’s a book about angels, but not really religious. It does however share some pretty interesting views of how Heaven and Hell operate. I found that aspect of the book to be very fascinating. Questions that someone may ask themselves, such as “Why does God let terrible things happen” are addressed and answered. I don’t think you need to be religious at all to appreciate this book. It’s not a preachy book and I don’t want to come across as saying that it is. I just found it awfully brave of Linda to ‘go there’ and to write such an interesting take on a deity that millions upon millions worship. This book revolves around Alex, a detective in the middle of trying to solve a case involving a serial killer in Toronto. 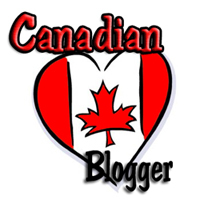 (Woot Go Canada!) This case is tough and the murders are gruesome. Really terrible. While reading, you want, no need the killer to be caught because what he is doing is just that awful, but you know that chances are slim since the killer is a crazed fallen angel trying to find a way back into Heaven. Angels are not seen in the world Linda created. They don’t walk among people, so that the killer is an angel is not open knowledge. The killings are becoming more and more frequent so the police feel the need for extra people on the case. Alex currently has no partner but has one assigned to her during this case. Enter Trent/Aramael. He is Alex’s new partner. That’s pretty convenient seeing as how he is bound to protect her while trying to capture Caim – the crazy creepy bad guy/angel. Aramael is a Power – a fallen angel hunter. He is given the task to capture the fallen angel and bring him in to be taken care of the way evil fallen angels are taken care of. Working so closely with Aramael, Alex sees him as he truly is in glimpses and starts to think she’s losing it. You see, Alex has some baggage when it comes to angels. Her mother wasn’t completely lucid and claims she had angels surrounding her. Eventually, total madness overtook Alex’s mother, so seeing what could be angels only makes Alex wonder if she is deemed to follow the same path as her mother. She is essentially afraid of angels or anything of that sort because it makes her question her own sanity. I liked Alex as a character. Very strong and no-nonsense, she gets the job done no matter what. She had one little personality thing that rubbed me wrong after a while (and I’ll talk about that in a bit) but other than that, she was great. And Aramael was pretty cool too. What a presence he is! All power, yet there is a vulnerability mixed in there…which really should not be since he’s an angel and feelings aren’t part of their game thanks to the laws of Heaven. Even though there is a she and there is a he and there may be a little kissing, this is not a romance book. It is very much an urban fantasy tale. But there is a strong chemistry between Alex and Aramael. I can’t say that I felt much of a romantic spark between the two of them, but the connection was very strong and as I said, the chemistry and the urge to protect was very good. It may have been a tinge out of character for these two to be attracted to each other in this book, but I’m sure it will make more sense to them in the next books. I’m anxious to see where Linda takes these two. The only thing that got to me about Alex was how she was constantly saying that she didn’t want to see Trent/Aramael for what he truly was. Over and over. By the 50% mark, I just wanted to shake her a bit. Or Aramael. I could shake him too and tell him to explain things to Alex a.s.a.p. Not for her benefit but for mine! But shortly after reaching that point, a phone call came in and bam! The story takes off and just keeps going until your jaw hits the floor and you are left confused and wondering if you read the ending right. Then the epilogue happens. The prologue is excellent too. I felt that who was in that scene was evil, but I found it written in such a way that he could have been good. But then you find out that nope, he is bad bad bad. I mean, he is a super creepy and really really evil! Made my skin crawl every time he appeared on the page. Linda did a great job writing him. I found the pacing to be great in the beginning, a slightly bit slower near the middle, but the last 60% to be fantastic. I really am looking forward to reading the next installment, Sins of the Son, which is due to hit shelved March 27th 2012. Linda has a beautiful writing voice. Really, the writing is top notch – almost lyrical. Her imagery is excellent, making everything jump off the page while you’re reading it. And her story is very original. 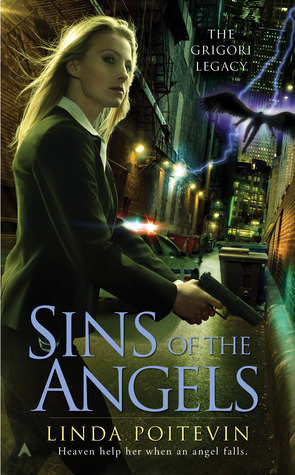 Sins of the Angels is a wonderful debut and a gripping start to what is likely to be a strong series. 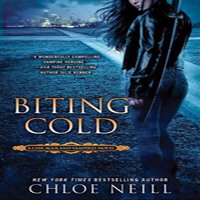 Fans of Urban Fantasy really should check it out. “She reached for his shoulder. Reached to comfort him, to relieve him of even a tiny part of the burden she sensed he carried. Reached – and connected with something invisible. Soft. Warm. The blood drained from her face. She snatched back her hand, clenched it into a fist in her lap, tore her gaze from Trent’s and turned again to the windshield. 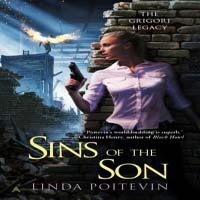 Share the post "Review: Sins of the Angels by Linda Poitevin (Grigori Legacy #1)"
I am so with you there! When I finished SINS I was just “wow and couldn’t formulate sentences it dealt such a powerful blow 🙂 And yep, I applaud Linda for not only exploring a religious/mythological topic but writing such an intellectually engaging story! I might have to give this new series a try. Just wanted to let you know that I gave you the Alien Proliferation award-Harder, Stronger, Better-it’s a chance to win the arc. You don’t have to do anything with it, but thought I’d let you know. :)The award is here. Great review sounds like an interesting book! 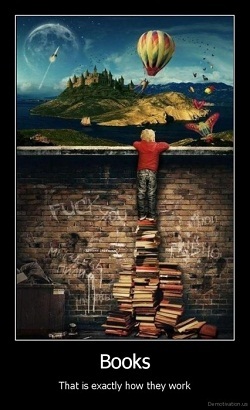 Might add it to my list after a look on goodreads! LOL Linda better make sure to look through the peephole before opening her door to anyone! She’s local so you COULD put your above-mentioned plan into action. Can I tag along? 😉 Very well written review Julie, thanks for sharing your thoughts! You told me about this book couple of weeks ago, now I remember. It sounds really good by the way… another one for my TBR. 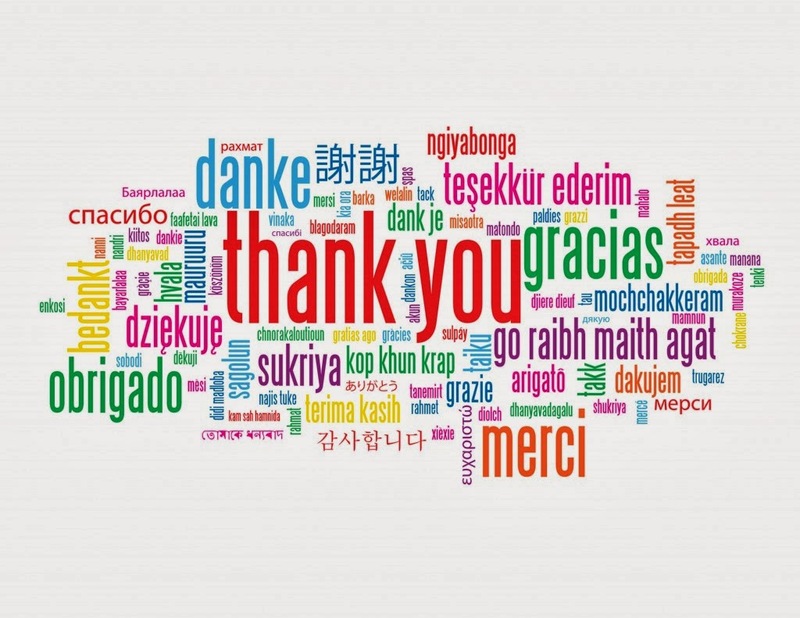 Thanks for this great review ! I’m very curious about this book, I’ve heard so great things, your review makes me want to buy it ! It sounds so good ! Fantastic review Julie! I’m definitely going to check this book out. Maybe I’ll wait till book two is published and then read them both one after the other. LOL. Plus that’s probably the only way I’ll be able to check them out since my review schedule is PACKED for the rest of this year! Eek. I’m glad you enjoyed this read and that it’s not a romance book by any means. It’s nice to get away from romance every once in a while. I read the book and wow. It had my heart racing and the rest of me thristing for more. I am here now because I was looking for the next book in the series. It does have a level of romance to it that is refreshing and not leaving each of them in the throws of making love everytime you turn around. I find that it keeps your mind involved in the story jumping to and fro but revolving around everything from start to finish and leaving you wanting more. I think this book would make a great movie;with the right cast to play the roles of coruse.